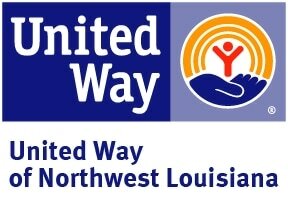 The Summer Intern Food Program coordinator will work at the Food Bank of Northwest Louisiana and its satellite meal sites. This person will be responsible for consolidating paperwork, reviewing meal service sites, and helping to administer the United States Department of Agriculture (USDA) Summer Food Service Program to the Food Bank’s 35 sites. Review and organize the Food Bank Summer Feeding records from the current programs for accuracy and completed forms. Report and document any corrections, missing documents or changes. File and organize Food Bank reports, invoices, and reimbursements for the past 3 years. Develop and maintain accurate site contact information for current locations to ensure appropriate communication between the site and the Food Bank. Review and monitor meal programs according to USDA Summer Feeding Program regulations and guidelines. Some locations require driving long distances to rural locations. Monitor program’s compliance with onsite record keeping for inventory control sheets, daily meal count records, storage condition and temperature log. Report all findings to Program Director. Assist Program Director in all tasks pertaining to the Summer Feeding Program. Any other duty that is required for the position. Currently enrolled in a public or private college or additional education. Must have a valid driver’s license and be insurable by our company policy without significant problems in driving history during last 5 years.